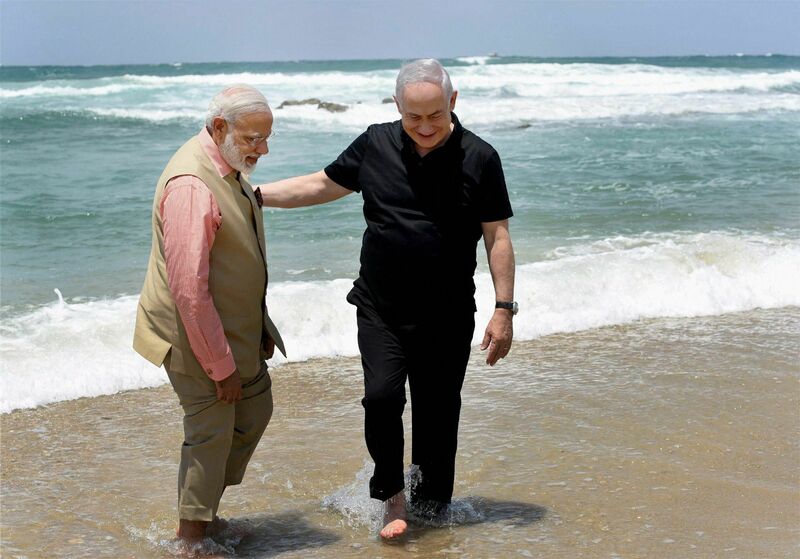 When Narendra Modi, the leader of the world’s most populous democracy, pays the first visit by an Indian PM to the only functioning democracy in the Middle East, Israel, this rapprochement between democracies should be cause for celebration, no? Not for The Independent’s Sunny Hundal. The elected Modi meeting the elected Israeli PM Benjamin Netanyahu is a meeting of “authoritarian strongmen”, aka quasi fascists. They represent, apparently, a global threat to liberal democracies. Eh? Weren’t they actually elected in liberal democracies? 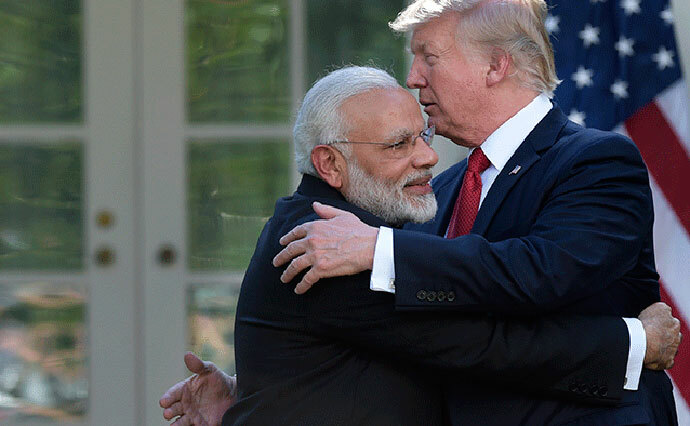 Skimming the rest of this ridiculous article, it seems that Modi and Netanyahu are Bond villains because they have both met and actually shaken the hand of the Prince of Darkness himself, Donald Trump. The current writer certainly holds no candle for this particular PotUS, but if this is the qualification, how many others have cloven hoofs? 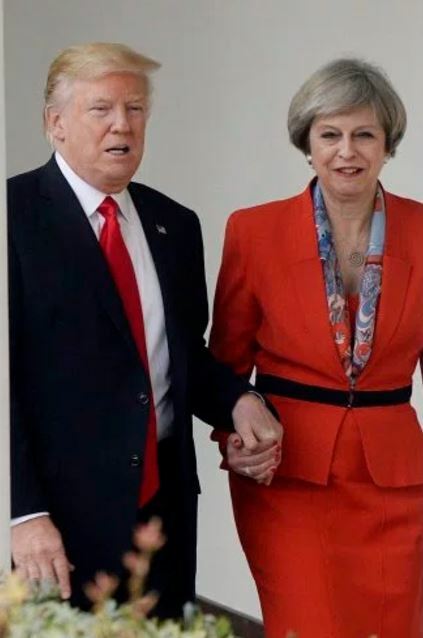 Is Theresa May the new Lucrezia Borgia? And what then of Mexico’s President Enrique Pena Nieto? Or Merkel? Or Macron? Even the Bambi-faced ultra-liberal Canadian PM, Justin Trudeau, who we all thought was the nicest man in the world, head of the world’s nicest nation, is really Beelzebub in disguise? The bottom line is that Israel-bashers like Sunny Hundal don’t like anyone getting on with Israel and will trash anyone who tries. No matter the benefits collaboration with Israel will bring to India – hi-tech interchange, leading edge water-management and other farming techniques, counter-terrorism intelligence sharing. The Israel-hater is willing to pay any price in other people’s misery. Look, no big deal, they’re just getting their feet wet. Now that the UK has accepted the international definition of anti-Semitism, isn’t about time the useless waste of space, the CPS (Crown Prosecution Service) do something about articles such as the one written by Hundal? Absolutely not, it takes the CAA (the Campaign Against Anti-Semitism) to press charges before they will do anything. Well over 1,000 REPORTED incidents and yet only 10 were prosecuted. And, as for the police! They were happy to leave a 16 year old girl bleeding from an attack by a gang of youths with a postal worker because they couldn’t be bothered to come out. Speaks volumes. Then we come to India wanting ties with another democracy. Since each country is a democracy, surely it is up to them who they ties with? Certainly better than supporting Muslim controlled countries with their lack of human rights and ties with terrorism. Smug anti-Semites are anti-Semites nonetheless. The bottom line is that Israel-bashers like Sunny Hundal don’t like anyone getting on with Israel and will trash anyone who tries. A very basic and 100% true statement. Age-old Jew hatred pure and simple.